Glasgow Central MP Alison Thewliss is supporting Jo’s Cervical Cancer Trust’s first ever cervical cancer prevention Roadshow. 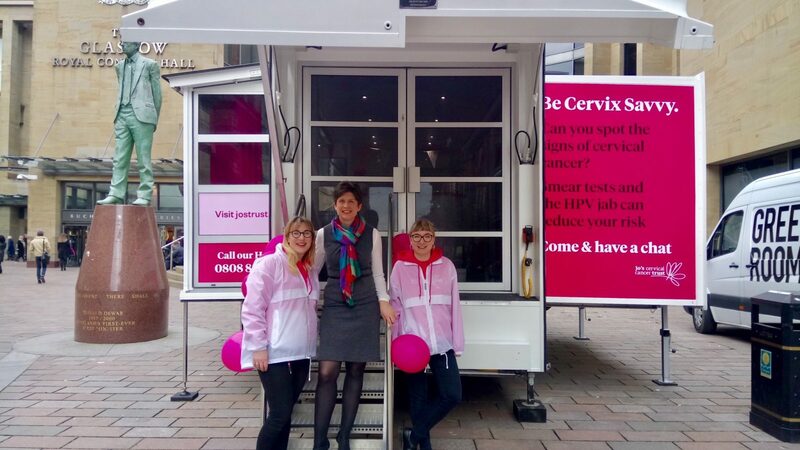 The Be Cervix Savvy Roadshow is in Glasgow from 20 – 31st March and aims to raise much needed awareness about cervical cancer and how to prevent it. The Be Cervix Savvy Roadshow will visit 11 cities over a 14 week period across the UK. The Roadshow will visit four locations in Glasgow, George Square (20-21 March), Buchanan Street (23-24 March), Shandwick Square (27-28 March) and Forge Market (30-31 March), and the charity hopes to engage with over 800 women in the city.